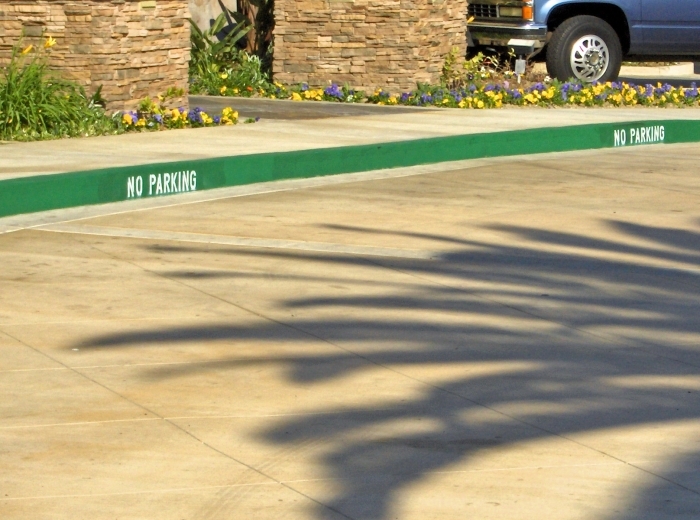 Maintaining the curb painting in your parking lot enforces designated parking and non-parking areas. 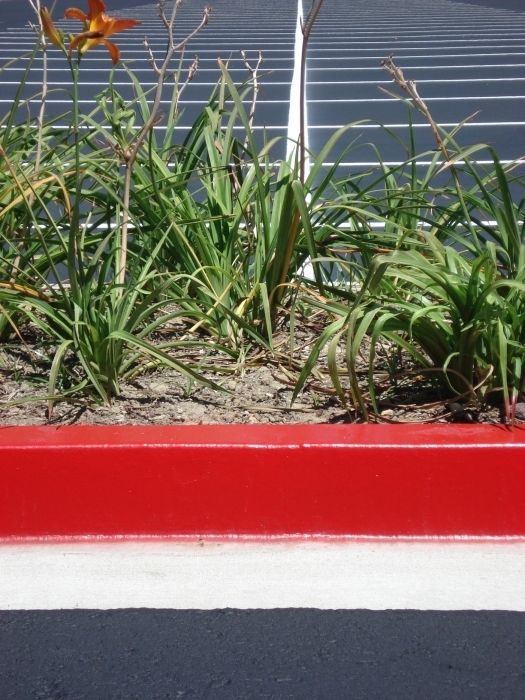 For example, red curb is painted to deter vehicles from parking in fire lanes or no parking zones. On the other hand, blue curb helps enforce parking for disabled parking; whereas, yellow and green curb are utilized to specify loading zone areas and visitor/timed parking. 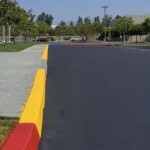 Whatever your curb painting need is Trueline can help you achieve it. We have painted many shopping malls, business parks, and home owner associations. We have many years experience in dealing with the products and environments related to curb painting on large facilities. Trust our experience and let us guide you through a safe, environmentally friendly and quality job. When selecting what product to paint your curbs with please keep in mind that for 18 years we have been painting curbs and learning what works and what doesn’t. Often times we will have someone contacts us about a new curb idea. “Hey, I was thinking we could use high-end epoxy paint on our curbs for durability and performance”. This paint will certainly achieve those goals but at what price? 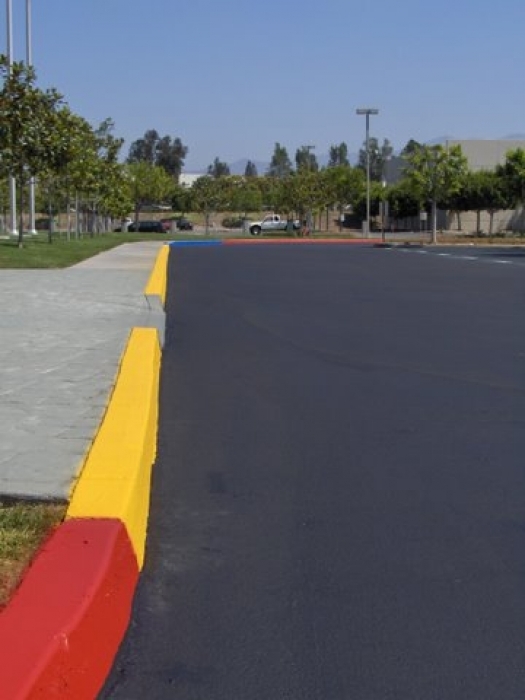 There is countless slip and fall lawsuits filled on these epoxy painted curbs every year in the US so keep that risk in mind when considering what paint to use. It is always our recommendation that you go with a water based curb paint or a oil based curb paint and keep up an annual routine for touch up and repainting. 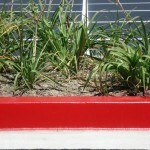 Also, every few years consider sandblasting and re-painting a section of your facilities curbs. This stops the curb paint from building up quickly which is one of the causes that can lead to heavy curb paint flaking and failure. Below is a list of available curb related services that we offer. These types of facilities require a special attention and experience that only comes with time. Malls, Shopping Centers and HOA’s have many people on them. When working around people curb striping and painting can be a costly liability. Trueline has an 18 year track record of safety and caution. This is because we know how quickly one slip on wet paint can potentially cost a company millions. We also have methods down to not only get the job done quickly and neatly but we also have a large selection of paint to fit each projects need. 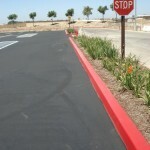 From rapid dry paints to two part epoxies, we understand curb striping is not a one product for all service. We also can stencils on curbs, and we can clean and or sandblast curbs in house. 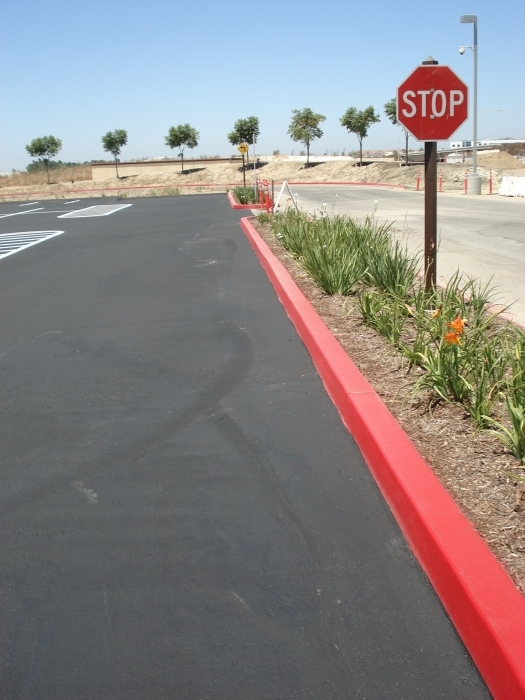 Trueline also offers a large selection of maintenance plans for your curbs. Discounts can be applied to annual, semiannual and by-annual plans. Feel free to call us today toll free for more information at 800-603-1116. Call today if you have any questions on curb painting or curb striping. We would love to earn your business today.